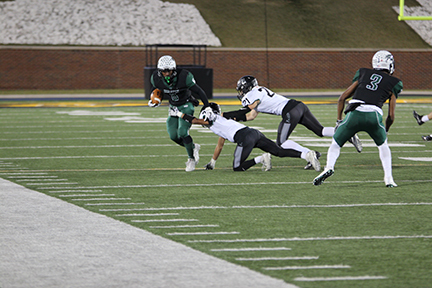 Pattonville High School recent graduate Kaleb Eleby and senior David Ellison have been selected as a St. Louis Top 25 football player in the St. Louis metro area. They will be recognized by the St. Louis-Tom Lombardo Chapter of the National Football Foundation and the College Hall of Fame at the chapter's 26th annual banquet on May 6. Eleby was named to the All-American Large School Football Team, had the All-American Performance of the Year for his 410-yard passes and five touchdowns in the state championship game and was named All-State First Team, All-Metro Second Team, All-District First Team, All-Conference First Team and Conference Offensive Player of the Year. In December, Eleby signed to play for Western Michigan University and graduated from Pattonville. 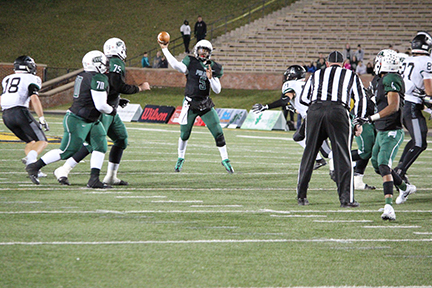 Ellison was named to the All-American Large School Football Team and All-USA Missouri Football Team and was named State Class 5 Defensive Player of the Year, All-State First and Second teams, All-Metro First Team, All-District First Team for two positions, All-Conference First and Second teams and Conference Defensive Player of the Year. He recently signed to play for Missouri Western University.